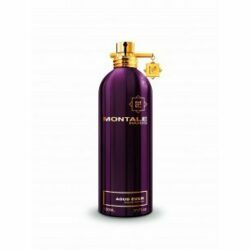 Aoud Ever by Montale is a Woody Aromatic fragrance for women and men. Aoud Ever was launched in 2012. The nose behind this fragrance is Pierre Montale. Top notes are agarwood (oud), citron, bergamot and calabrian mandarin; middle notes are vetiver, white sandalwood, patchouli and black pepper; base notes are leather, ambergris and tonka bean.Aoud Ever by Montale is a Woody Aromatic fragrance for women and men. Aoud Ever was launched in 2012. The nose behind this fragrance is Pierre Montale. Top notes are agarwood (oud), citron, bergamot and calabrian mandarin; middle notes are vetiver, white sandalwood, patchouli and black pepper; base notes are leather, ambergris and tonka bean.